Gameloft has today released the first teaser trailer for its new Asphalt 8: Airborne racing game that is currently under development, and is expected to launch later this year during the summer months for around $0.99. The Gameloft Asphalt 8: Airborne game will feature eight maps and include locations such as the Nevada desert, the streets of London, Tokyo in the rain and frozen tracks in Iceland. Watch the video after the jump to see it in action. Gameloft Asphalt 8: Airborne will also feature multiplayer options including both synchronous and asynchronous modes, allowing you to compete against your friends even when they are offline. As well as a multiplayer take down mode together with two new multiplayer game modes called Gate Drift and Infected. 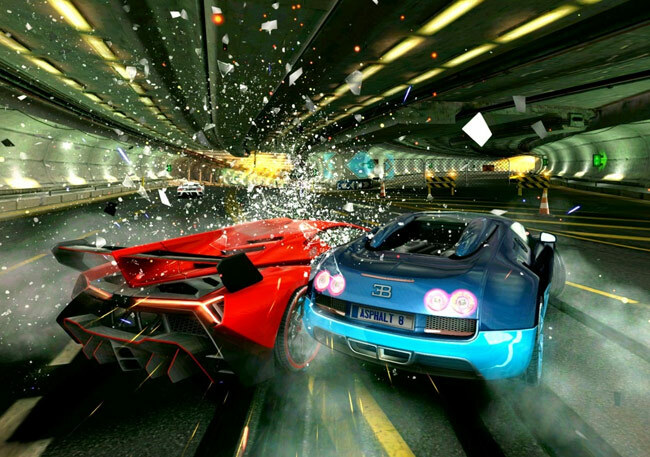 For more information on the new Asphalt 8: Airborne game jump over to the Gameloft website for details.